If salads are what you're after, look no further than this new business. The fresh addition to the Loop, called Blaze Fast-Fire'd Pizza, is located at 511 State St. (between Harrison St & Congress Pky). 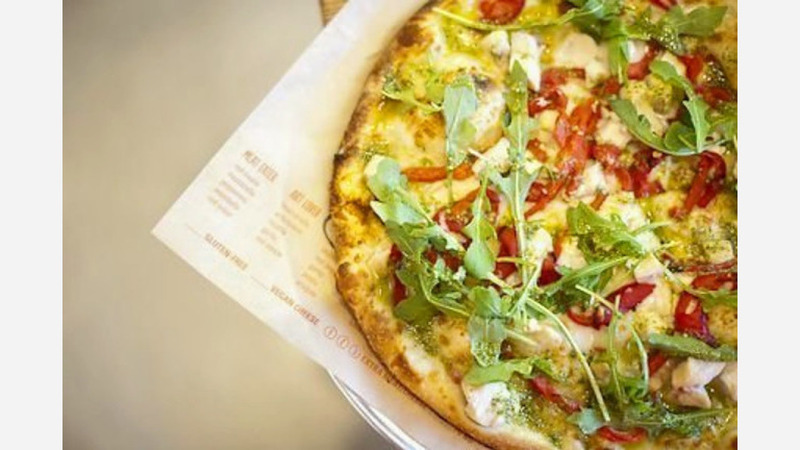 This newcomer--which has locations throughout the United States and several coming to the Middle East--specializes in pizzas with house-made dough topped with artisan ingredients, according to the business' website. On the menu, look for signature pies like the "Art Lover" with artichokes, mozzarella and ricotta; the "Link In" with Italian sausage, roasted red peppers and sauteed onions; and barbecued grilled chicken with red onion and banana peppers. There's a build-your-own component to the menu as well, where customers can customize pizzas and choose from an array of toppings on offer. With two reviews on Yelp thus far, Blaze Fast-Fire'd Pizza currently has a 4.5-star rating. Deborah W., who was the first Yelper to review the new spot on March 2nd, said: "I'm so glad this opened by my house! Custom-made pizza with the best and freshest ingredients...it is now my favorite place in the Sloop!" Intrigued? Stop in to try it for yourself. Blaze Fast-Fire'd Pizza is open Monday-Thursday from 10:30am-10pm, Friday and Saturday from 10:30am-11pm, and Sunday from 10:30am-9pm.